As the top property developer in Malaysia, S P Setia offers you a world of exciting career possibilities to excel in your chosen field. 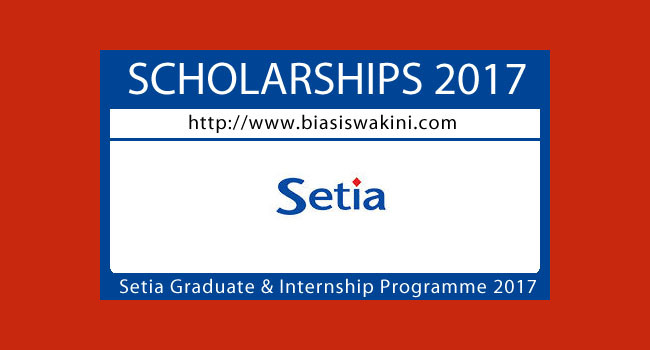 Setia Graduate and Internship Program offer comprehensive learning & development opportunities and promising career prospects to young talents. You will be provided with extensive learning opportunities and equipped with the essential core competency to undertake challenging role in S P Setia. Outstanding interns also stand a chance to earn scholarship and secure an employment with the Malaysia leading property developer before your graduation. 0 Komentar untuk "Setia Graduate & Internship Programme 2017"